You too can be a star when you wear Etoile. 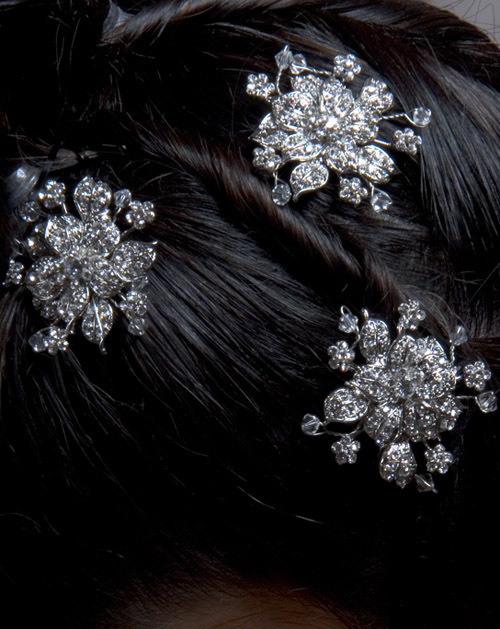 A bold replica of a wildflower set on a spiral, easily twists into any hair design comfortably and securely. Etoile creates the illusion of crystal flowers suspended in air. It compliments any style gown, and is meant to be worn in sets of three as they measure approximately one inch in diameter. Etoile is the only jewel you will need on your memorable day, and is guaranteed to charm.